Hello everyone! Indie makeup has lately been making headlines in my collection and I thought I would share a few great indie products with you. 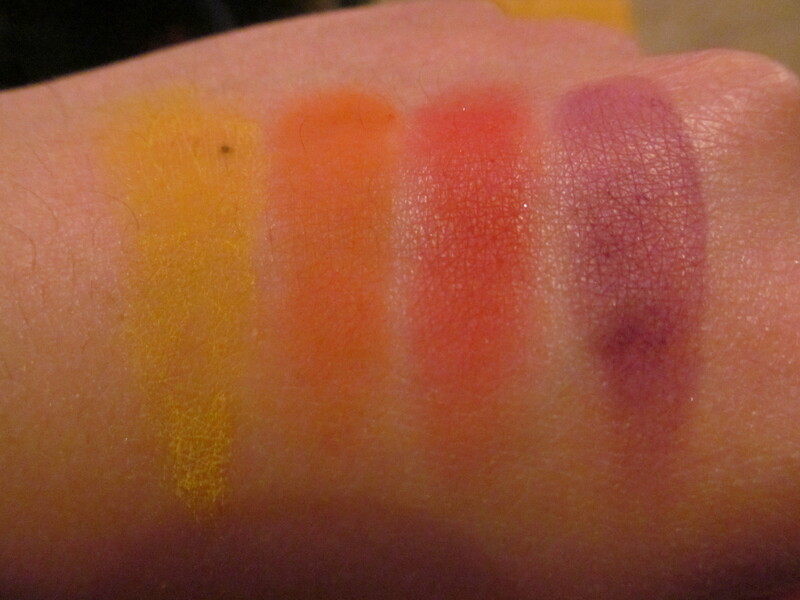 Description: An eyeshadow quad with coordinating shades in Buttercup (matte yellow), Flamepoint (matte orange), Love+ (matte red), and Poison Plum (matte purple). Review: First, I must mention that I am not a big fan of matte eyeshadows (please don’t kill me) but I love that these shades are in that formula. In the industry matte eyeshadows are harder to create considering that they don’t have fillers (such as shimmer) so you are essentially getting pure pigments with matte shades. As that is most matte shades are not the best as they can be patchy in application or not work well with other eyeshadow types. 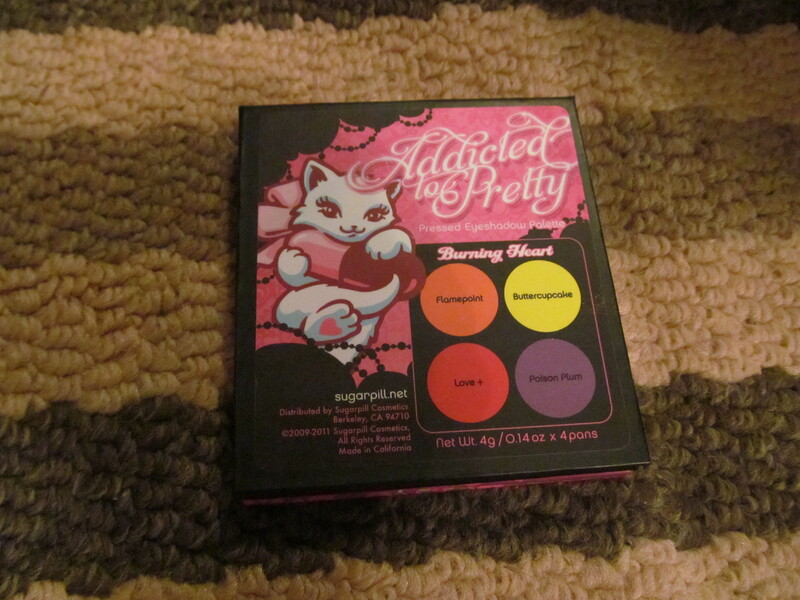 But Sugarpill eyeshadows are plenty pigmented and smooth on very well (except for Poison Plum which is a little hard to work with). Flamepoint, Love+ and Poison Plum work very well on their own but Buttercup needed a white base underneath for the colour to actually show up on my eyes. If I just wore Buttercup by itself it would look like I had jaundiced eyes so having a bright base underneath really help brought out the colour. All shades blended easily with other eyeshadows and staying power was extremely excellent a full 8 hours+! 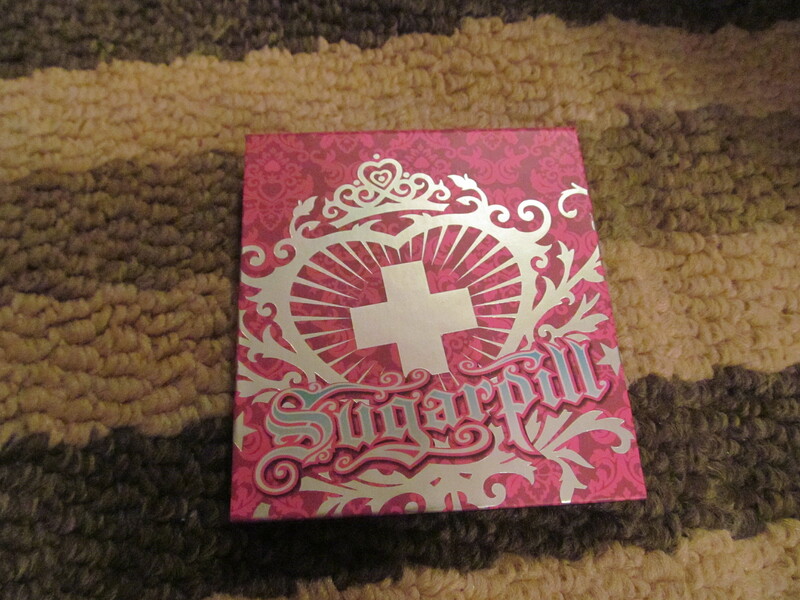 Overall, a great palette and I am extremely impressed with Sugarpill cosmetics for making an awesome eyeshadow palette. Would I recommend this product? 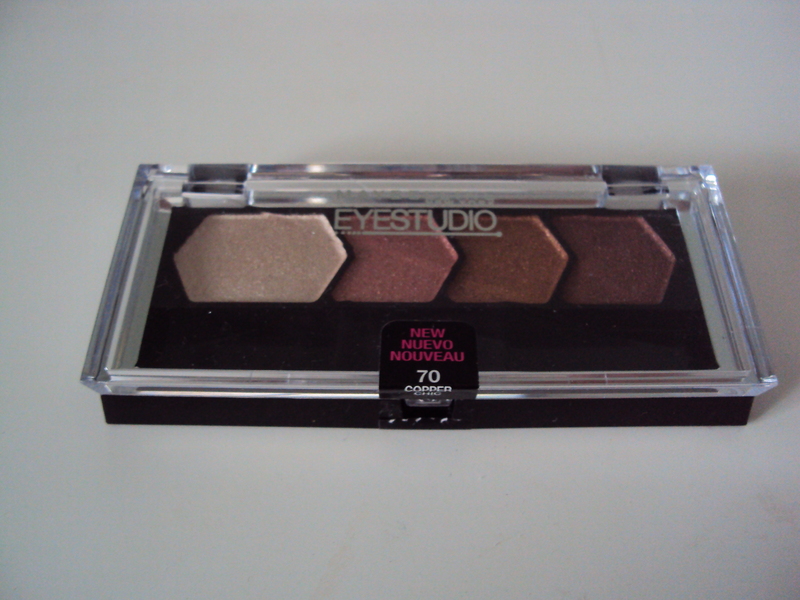 This is an awesome eyeshadow palette for those who love warm, bright colours! Hello everyone! 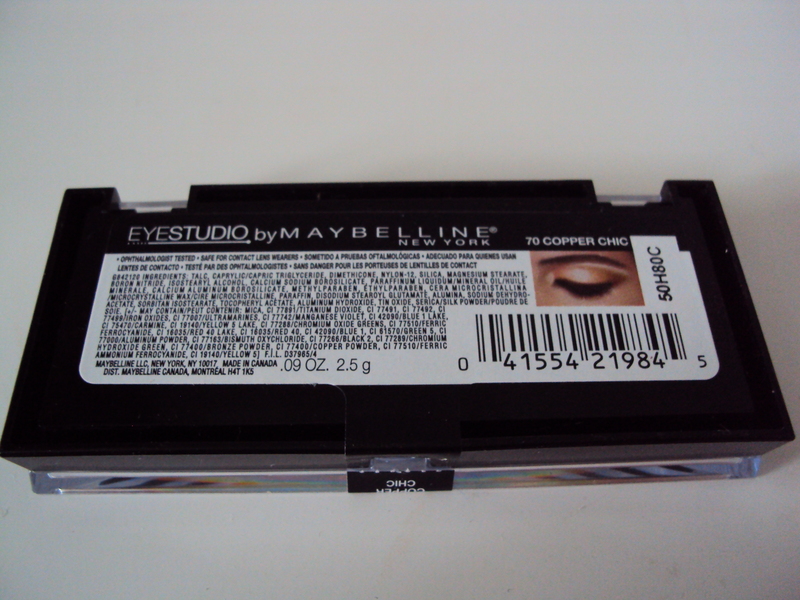 One of the new quads that I purchased from Maybelline this is becoming a regular pick up item. Description: Four lovely renditions of copper with a buttery smooth texture. The first shade is a champagne/light beige shade, a frost red-tone pink, a bright copper, and a copper toned brown. 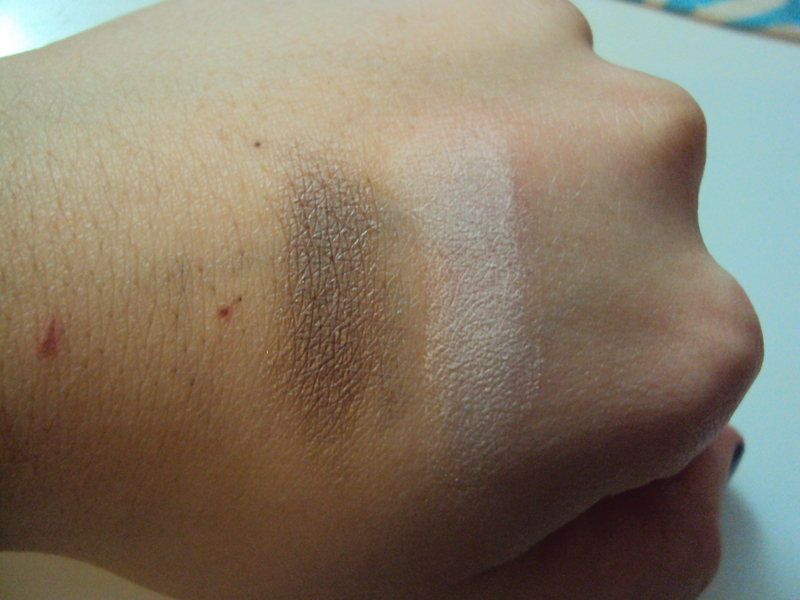 All swatches were done with one swipe across the hand. Review: I have reviewed a previous Eyestudio quad in Spirited Seas here and essentially it’s the same type of review but with a different shade. 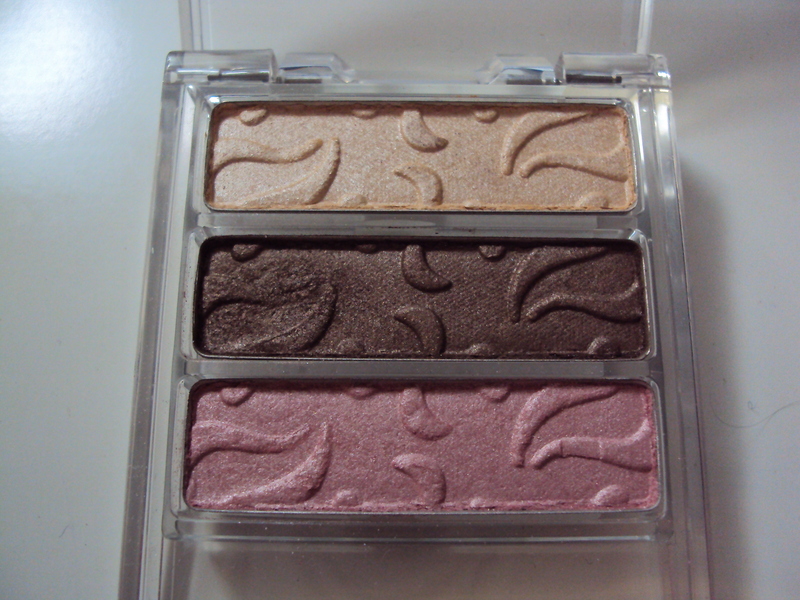 The shadows are extremely pigmented and smooth making them easy to blend on the eye. Sometime it’s a little too easy to blend on the eye and it all blends together to make one ruddy mess but nothing a little eye makeup remover can’t fix. Staying power was alright by themselves it lasted for 3-4 hours while with a primer the full 8 hours and more with a little bit of fading around the 7th hour. Since the shades are very shimmery there is some fall out as well but luckily it doesn’t stick to the face when it falls. Overall, this selection of shades are great for warmer skintones and I think it’s a great palette that will work in both the warmer and cooler months. Would I recommend this product? 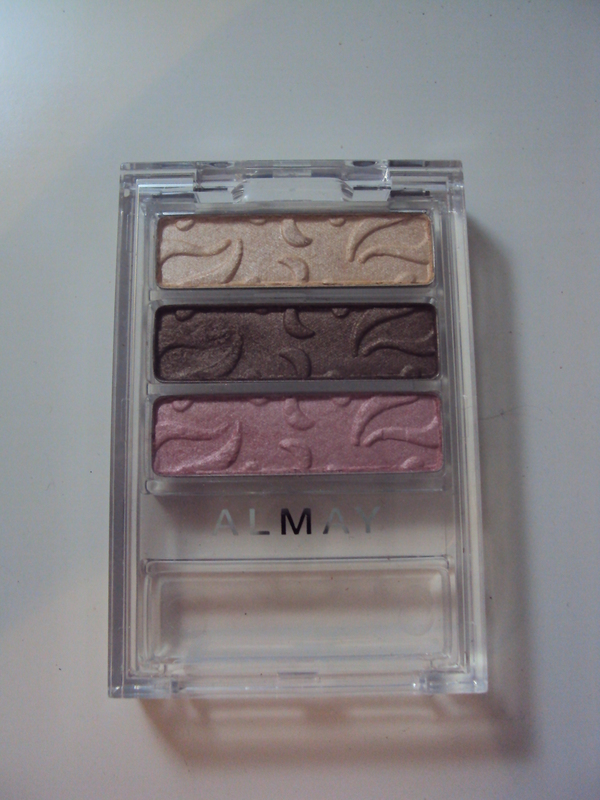 I would these are great quads for those who seriously love their shimmer. Hello everyone! An eyeliner review today and boy I have a lot of these eyeliners. Description: Waterproof colorful eyeliners for a perfect everyday look. The shades that I purchased are as follows 01 White, 05 Silver, 06 Gold, 08 Silky Cashmere, 09 Turquoise Blue, 10 Gray, 11 Purple, 12 Pink, 13 Blue Eyes, 14 Deep Blue, 16 Golden Olive. 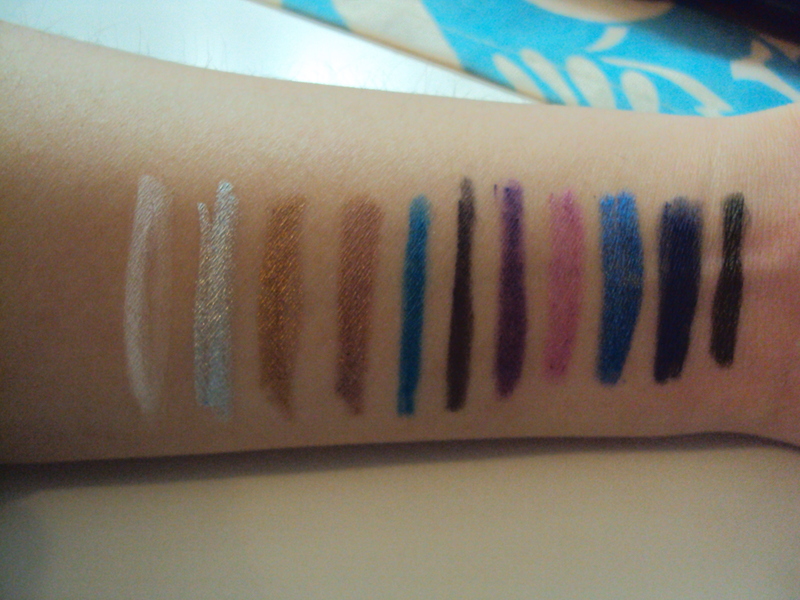 (this was the best picture I could take for you all) All swatches were done with two swipes across the arm and are in the order written above. Review: There was a time where I was just purely an eyeliner pencil user who loved to sharpen pencils but when those pesky pencil shavings started migrating onto other makeup products I decided it was enough. So I switched over to mechanical pencils in which I didn’t have to sharpen and worry about. But I still like having both options as the thing with pencil liners is that they tend to be creamier and smoother than the mechanical eyeliners. So the texture of the pencils are not as smooth but they still glide acros the lids without any extra tugging. The shade that I had some noted difficulty with was Purple it wasn’t as pigmented as it’s counterparts and was streaky, dragging mess across my lids. Staying power was decent around 6-7 hours but passes the 8 hour mark with a primer (hey I have oily lids I can’t help it). For being waterproof they are as long as you don’t tug at it and I love that you don’t have to sharpen them but can still create a thick or thin line. 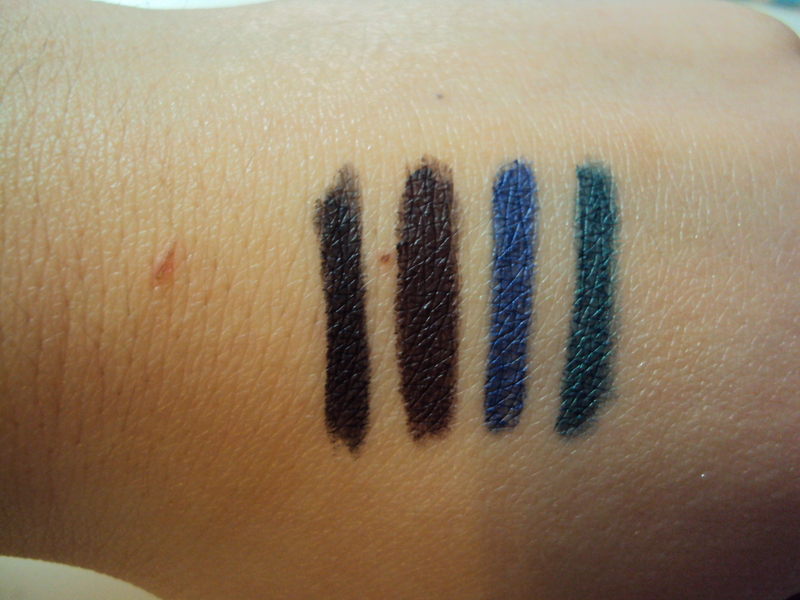 Overall, great eyeliners except for the purple and the shade selection is just great. Would I recommend this product? I would these eyeliners are great for an everyday look and the amount of colors available is amazing. Hello everyone! A Canadian brand review today it always makes me excited to see drugstore Canadian companies on my blog. 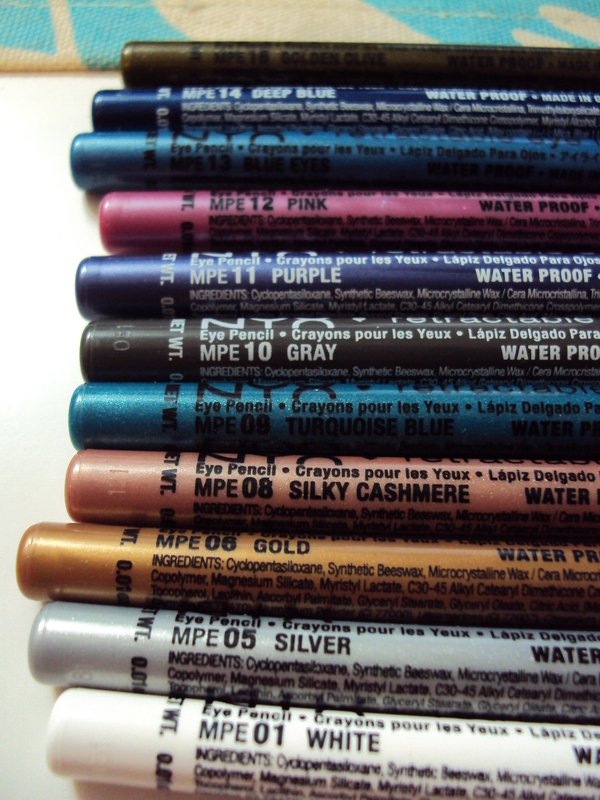 Description: Long-lasting waterproof eyeliner with rich pigmentation and a super awesome formula. 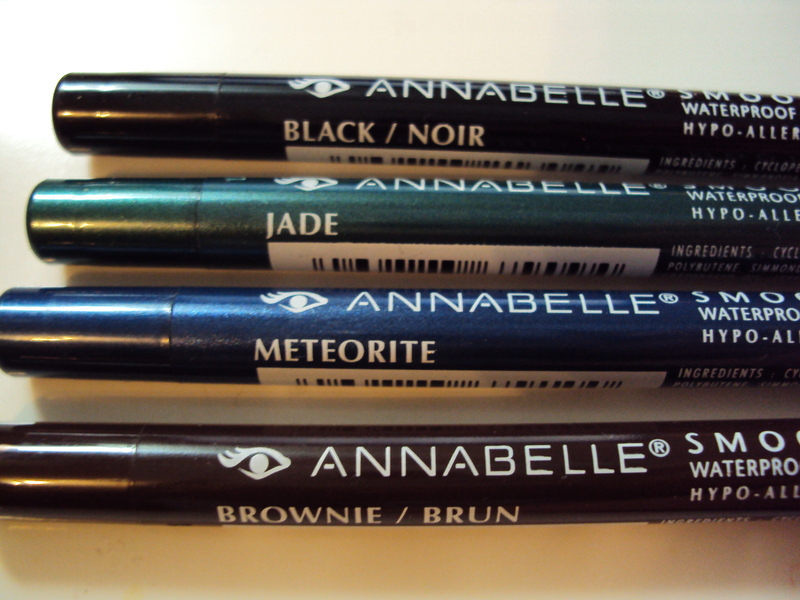 The shades are Black (basic black), Brownie (basic brown), Meteorite (navy blue), and Jade (dark green). Review: First off, I just want to say that my eyes are extremely oily even waterproof/longlasting eyeliners have difficulty staying on my eyes. So I tested this using primer and without primer for a full 8 hour work day. Let’s just say that without primer it smudged by the 6th hour (hey that’s pretty long-lasting right?) and with primer lasted the full 8 hours. Hooray it lasts throughout the day! The claims of waterproof is true but only if you don’t rub your eye you won’t end up like a panda if you do hello there panda. 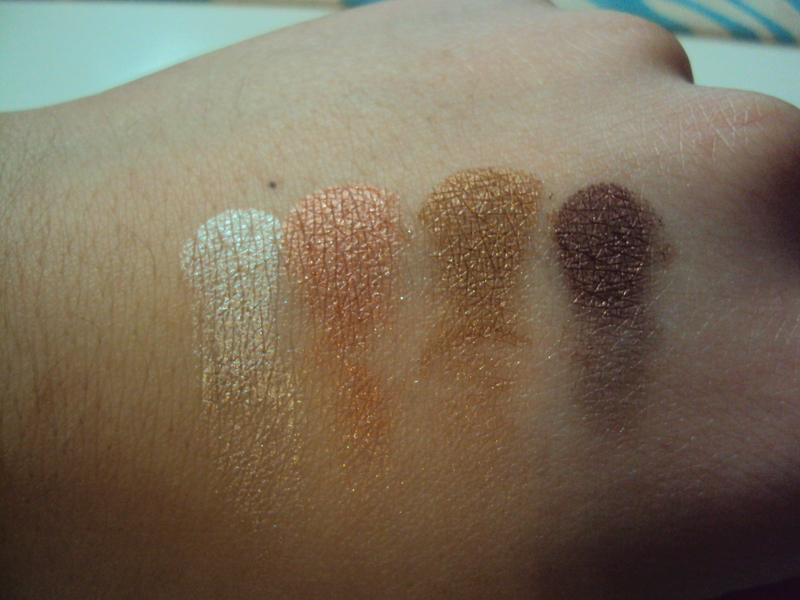 All the shades I picked up were very very pigmented and the texture is just so smooth. They all glided on like butter across nice warm corn on the cob. Unfortunately, Annabelle is only available in Canada so those overseas will have no choice but to make friends with Canadians, travel here or search on E(vil)Bay. 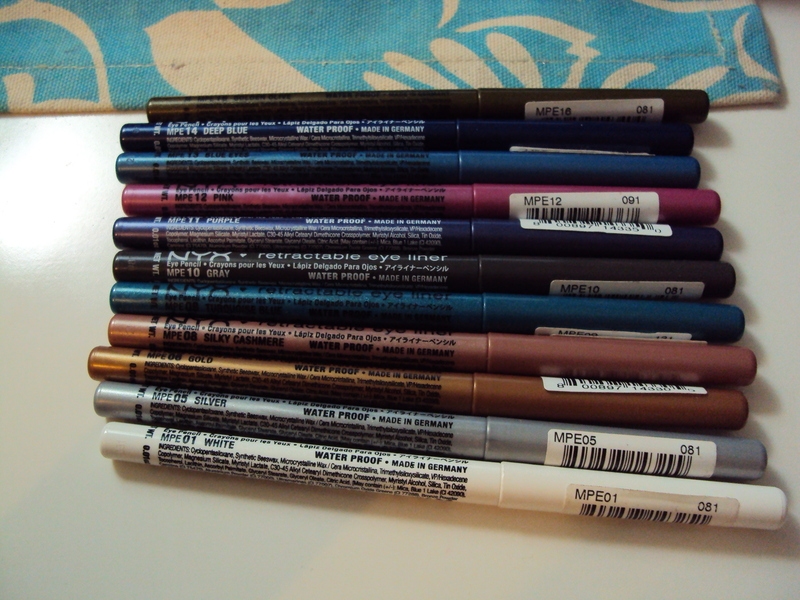 Overall, I really really love these liners and if you are ever in Canada feel free to pick them up! Would I recommend this product? 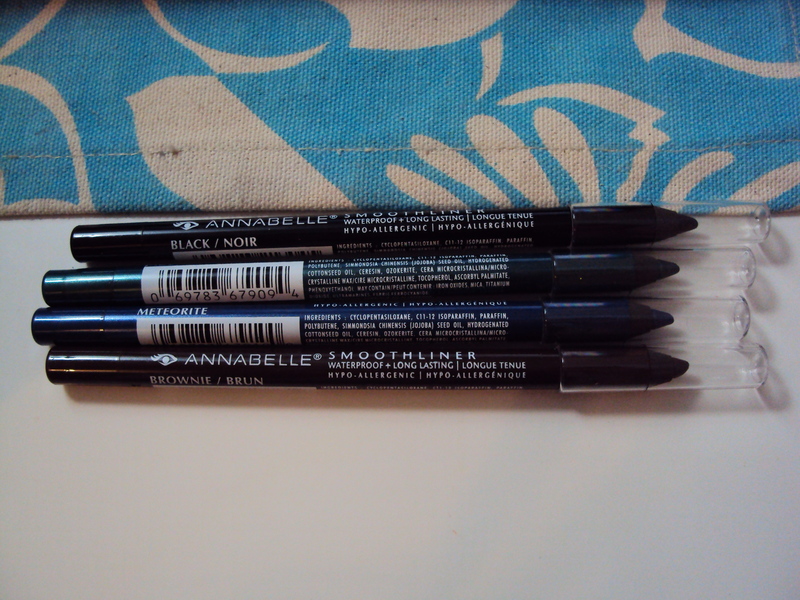 These eyeliners are great for everyday and the texture is to die for! Those overseas feel free to make friends with a Canadian or travel here yourself. Hello everyone! 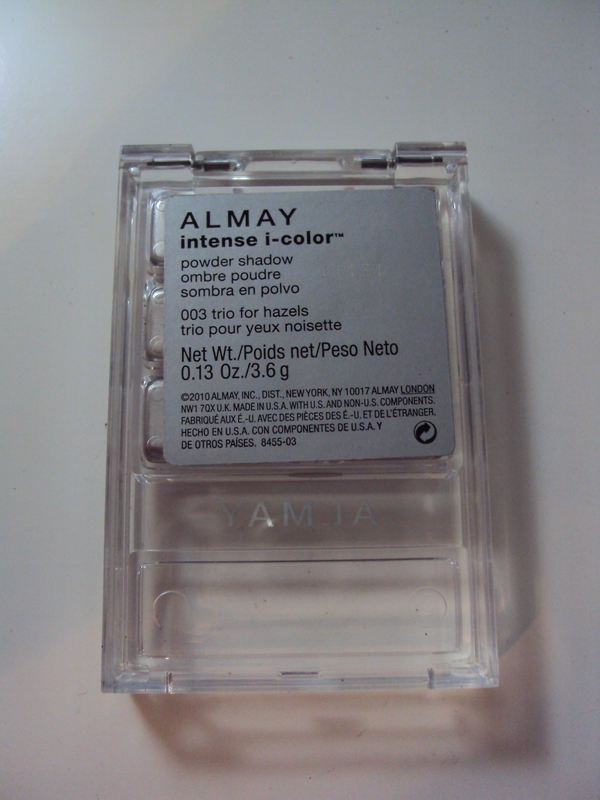 A really old eyeshadow review today Almay just redid their entire eyeshadow line so I can’t speak for the quality now but this was their eyeshadow quality before the line-up change. 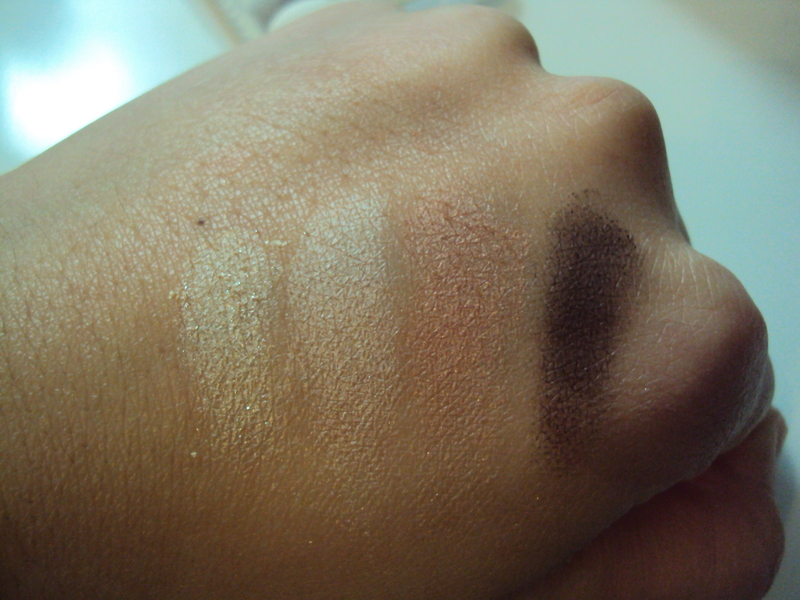 Description: Swatches were done quite heavily (3 swipes) for the color payoff shown in the photo. 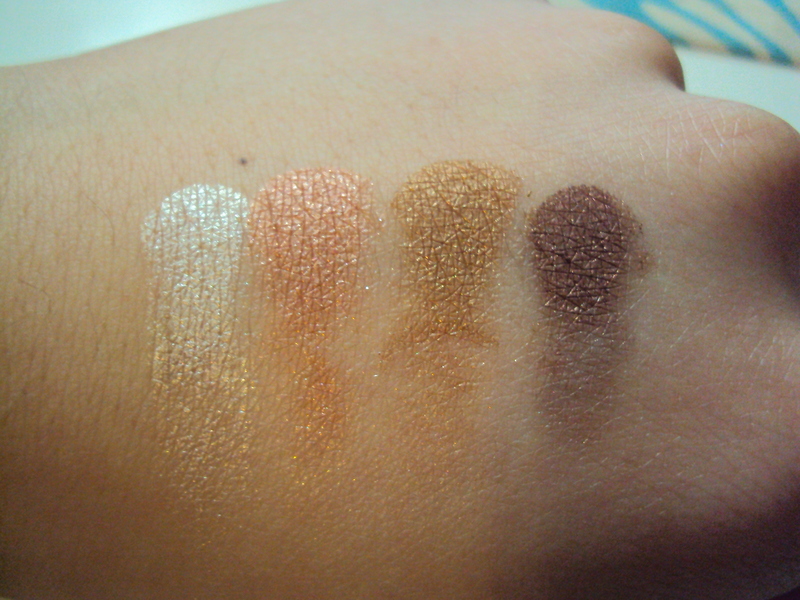 Review: I found that the shades were not as pigmented as I thought they were (it decieved me!). But the shades are very wearable for an everyday look and since they are not so pigmented it is great for days where I don’t want to put effort into my eyeshadow. The powders are actually kind of chalky if you pick up too much a flat shader brush as ideal and using small strokes to pick up the product resulted in not so much fall-out. 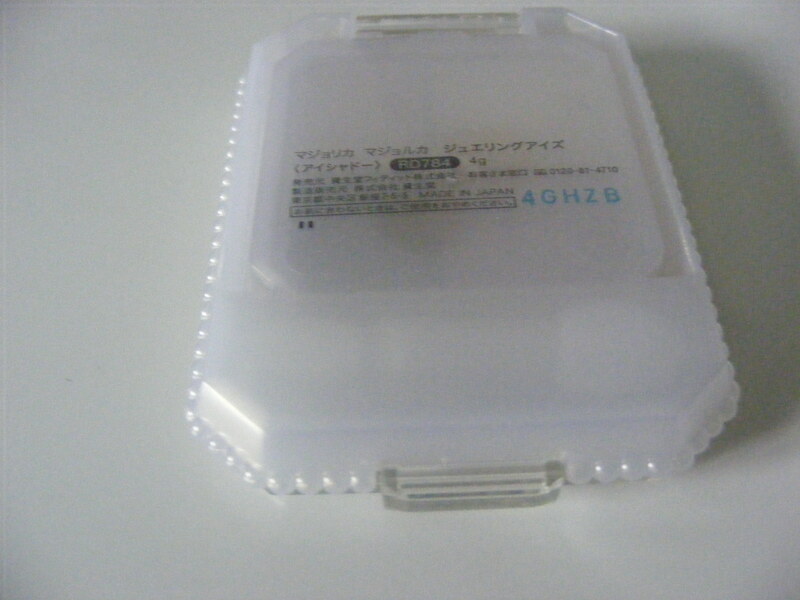 Packaging is nice clear plastic and the designs on the shadows just make it appealing to me. Overall, not a very good palette so I’m glad it’s gone from the original line their new line products are much more pigmented. Would I recommend this product? Since this product style is discontinued I won’t recommend nor recommend as it doesn’t exist. Hello everyone! 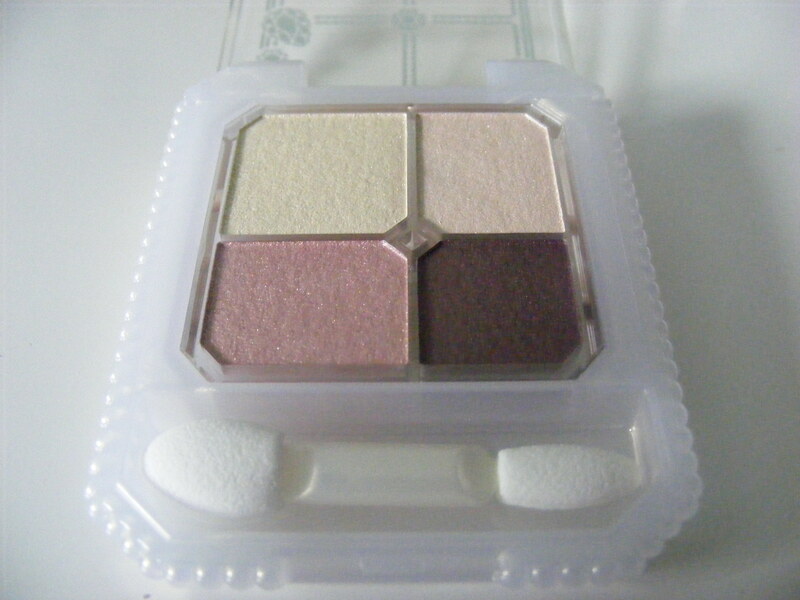 A Japanese drugstore eyeshadow quad review today from the ever so popular Majolica Majorca line from Shiseido. 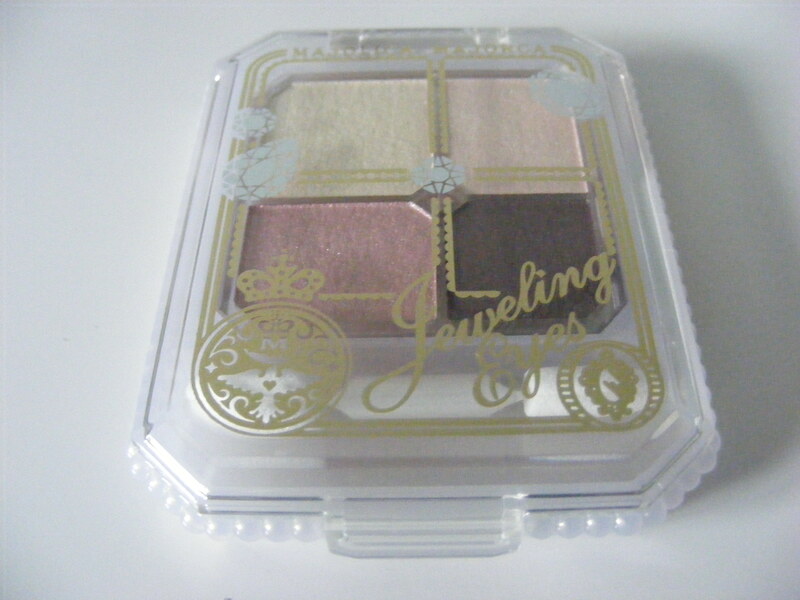 Description: A sparkling eyeshadow set that will make your eyes shine like jewels. The shades are a light yellow based glitter shadow, a pink champagne (satin), a darker pink (satin), and a deep burgandy with pink undertones (satin). 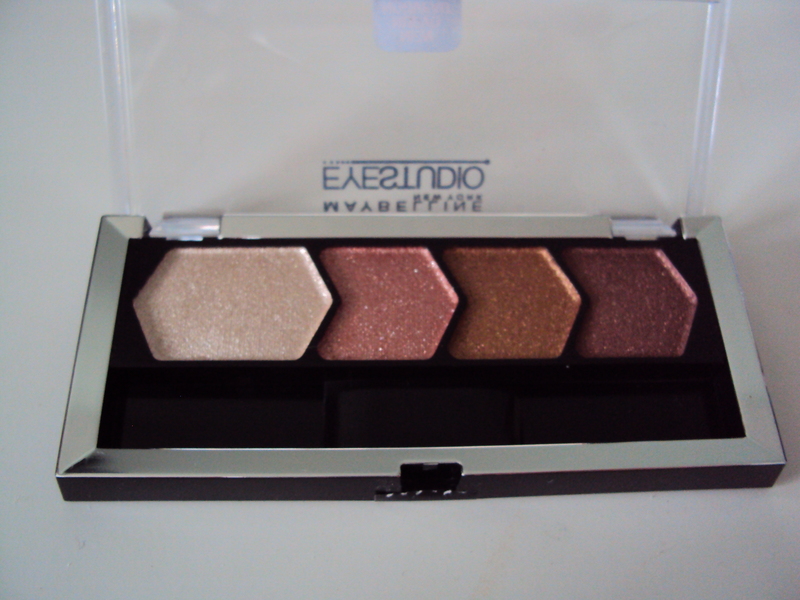 Review: Man, this palette is pretty to look at and I pretty much used it everyday when I got it. The packaging is very sweet and very princess-like if that makes any sense. I love how the pans are the for shadows the mostly used shades are larger than the not so much used shades like the burgandy you don’t use much of it at the time so it’s smaller than the rest. It’s a great idea so that you don’t waste pan space and get more out of the shade you love. 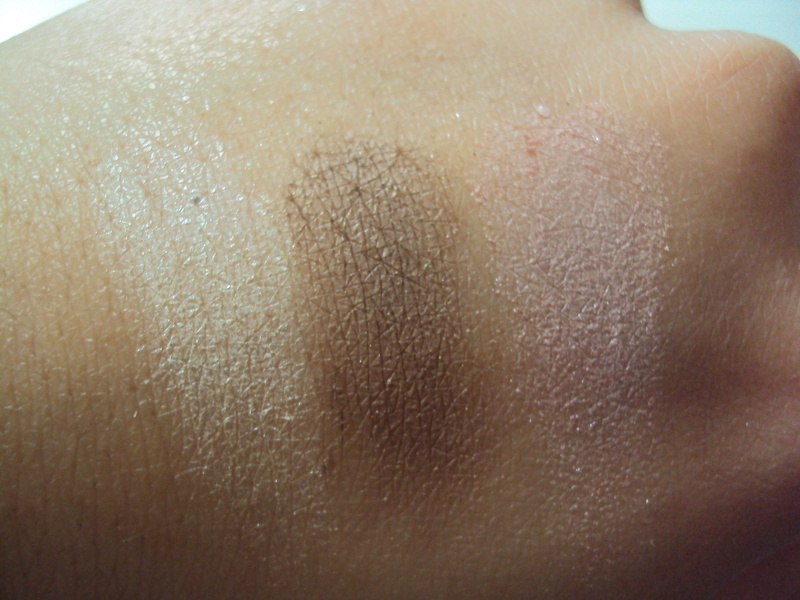 As for the shadows all the shades are very buttery smooth, easy to apply and blend. Pigmentation is medium to high pigments (especially on the burgandy shade) it works great as an everyday eye palette but can transform your look at night. I don’t have anything bad to say but the glitter shade just feels awkward but Japanese people love to use those sort of shades in the inner corner of the eyes to make them look brighter and jeweling at the same time. It’s a strange concept but it just wakes up their eyes and makes it all shiny. Those types of shades are found in pretty much a lot of Japanese palettes with different undertones as well to fit with the palette color scheme. Overall, a very nice palette that I will get lots of usage out of. Would I recommend this product? I would the shadows are really good and I would love to pick up some more! Hello everyone! 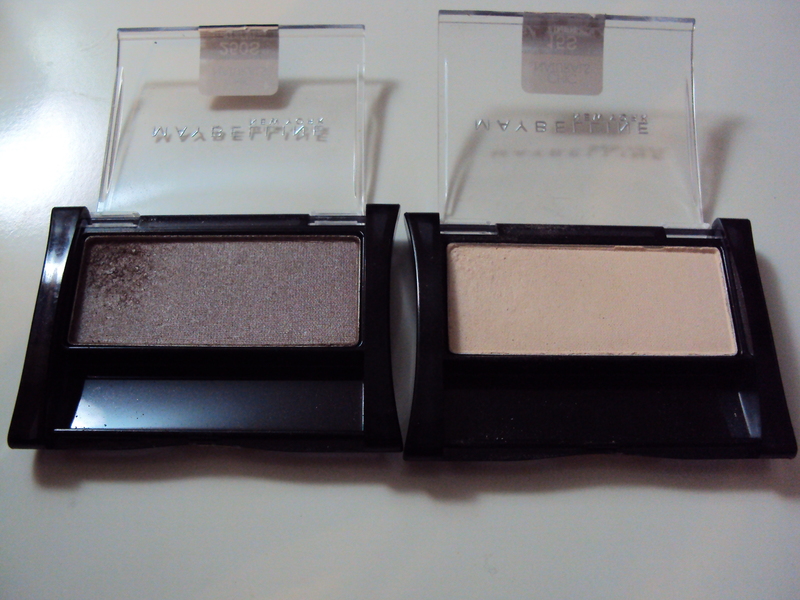 A single eyeshadow review from Maybelline and I only got two of them they aren’t much variety of shades available so I just stuck with two I thought I would enjoy/get the most use out of. Description: Smooth, pigmented shadows for an everyday look. Linen is an beige-champagne with white shimmer, and Tapestry Taupe is a cool-toned mid-tone brown with brown shimmer. Review: I just want to point out that I have never ever tried a taupe shade before (yes gasp in shock) so I thought why not. I was very surprised at how pigmented they are with one swipe I got the color that you see on the back of my hand. They are smooth, pigmented and blend very easily on the lids. Packaging leave much to be desired it just sits kinda awkward in my eye makeup drawer due to the awkward length. But the product is great so I won’t complain much about it. I like that you can use Linen as a powder highlighter as well a big plus for multi-tasking makeup. 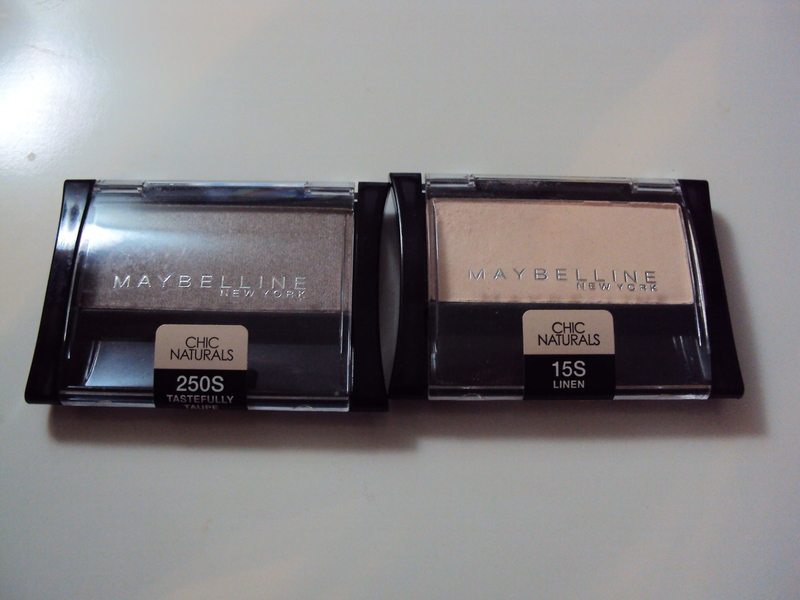 Overall, really good eyeshadows I would love to try other shades that Maybelline has in this format. Would I recommend this product? I would these are great everyday shades and I’d like to get some more shades just to see if the formulation is the same for all the other colors.